The Denver metro market is grabbing the attention of senior housing industry leaders, as the area is one of the fastest growing real estate markets nationwide. Building on that momentum will be the third annual 2015 Senior Housing and Care Conference & Expo presented by the Colorado Real Estate Journal and Husch Blackwell LLP on March 17 in Englewood, Colorado. Englewood is part of the Denver-Aurora Metropolitan Area. 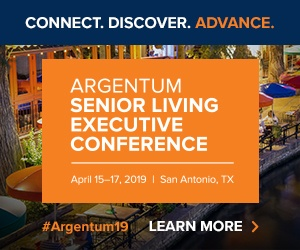 The event is Colorado’s largest gathering of senior housing developers, investors, operators, brokers, lenders and other related real estate professionals. “It’s particularly important for people in real estate who are looking to get into senior housing to be teaming up with those superb operators in the space,” says Kevin H. Kelley, managing partner for the Denver office of Husch Blackwell, noting the educational and networking opportunities that the conference provides. “Real estate lenders who treat senior housing like hotel or multifamily can be funding projects that shouldn’t be built,” he says about the importance of understanding the latest trends in senior housing. The variety of panel discussions span topics including preventing and detecting resident abuse, design and construction, and development investment and finance strategies, among others.